The Tennessee Arts Commission awards fellowships annually to professional artists who have shown exceptional talent working in their chosen discipline. These fellowships support the first goal, Thriving Tennessee Arts and Culture, in the Commission’s five-year strategic plan by promoting the professional development of artists. Click here for more information. 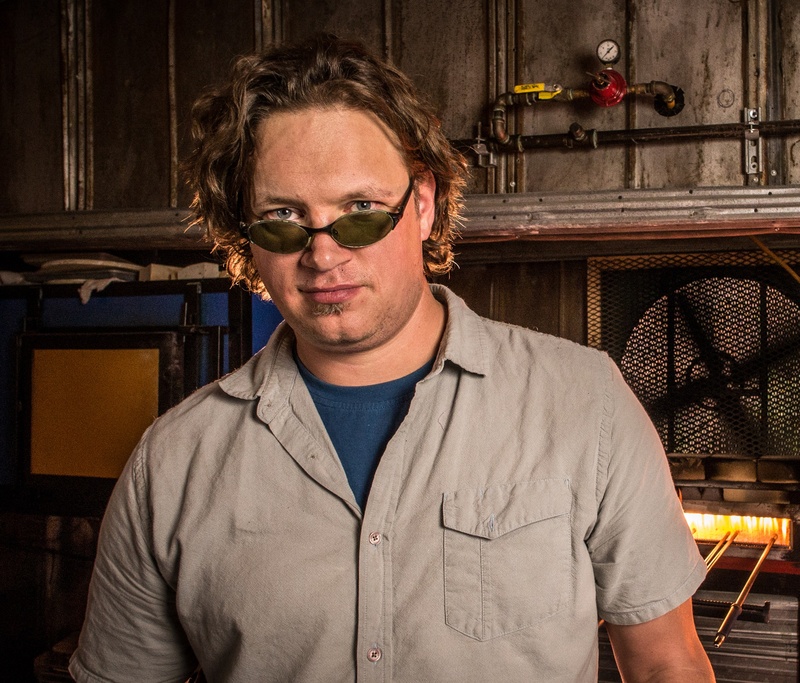 Thomas Spake — Spake began his glassblowing career in college after being introduced to the craft through a work study program. Since then, he has led a gallery in opening a glass blowing studio and then opened his own business, Thomas Spake Studios. Spake sees his works as a collaboration with observations made of his surroundings. He now photographs various places, objects and moments in nature and then creates complex patterns imitating natural objects or landscapes, working to capture their essence in his glasswork. Banning Roberts Bouldin — A contemporary dancer and choreographer, Bouldin has worked both internationally and across the U.S. in dance. She has danced as a soloist, master class teacher, rehearsal assistant, choreographer and more. Bouldin earned her BFA in dance from The Juilliard School where she learned many principles that she now integrates into New Dialect, the dance company she founded in Nashville in 2012. She approaches her work in a highly collaborative manner, seeking to empower dancers and engage each individual’s inner interpreters. Graham Michael Hillard — Hillard teaches creative writing, contemporary literature and composition at Trevecca Nazarene University, and is the founding editor of The Cumberland River Review, a national literary quarterly. He has written for The Los Angeles Review of Books, The Oxford American, The Weekly Standard, and other magazines, and has contributed poetry and fiction to numerous journals. He holds an MFA from New York University. Hillard’s work reflects his belief that poetry exists to help bring about understanding, as his central theme often explores the tension between humanity and nature. Lorraine M. López — Author and professor, López teaches in the MFA program in Creative Writing at Vanderbilt University. She has written six books of fiction and edited/co-edited two essay collections. López is also the co-founder and associate director of the Latino and Latina Studies Program at Vanderbilt. She is currently writing a novel What We Have Here, which reflects, among other themes, the idea of enduring responsibility and love that survives passion over time. Sybil Lea Baker — Author Sybil Baker has written three novels and numerous short stories and essays. She spent twelve years teaching in South Korea before returning to the U.S. in 2007. Her experiences in Asia throughout this time have strongly influenced her writing, as seen in the common theme probing life as an expatriate. Now living in Chattanooga, her current nonfiction project focuses on race, refugees, exiles, expatriates and wanderers. It combines her interest in global travel with life in the south through numerous interviews with refuges and undocumented persons and reflections on her own travel experiences. Michael Ray Nott – Nott began his photographic career in Texas, becoming a well-known poster artist with works in a number of poster retrospectives. He studied under the legendary street photographer Gerry Winograd and was able to gain valued experience and incredible inspiration from him. Nott’s street photography is done in a graphic black and white style to capture, reveal and interpret underlying relationships and details. John Warren — A time-based media artist, Warren has completed many short works that seek to question and to interpret that which transcends language. His lyrical films and installations have been exhibited internationally at a wide range of galleries and festivals. Warren earned an MFA from the California Institute of the Arts and currently teaches Video Art and Film Fundamentals at Vanderbilt University. Michael Henry Kurek — A composer, Kurek’s work has gained both national and international recognition. He serves on several professional boards and committees, including voting membership in The Recording Academy, with seven years on their Classical Grammy Awards Nominations Committee in Los Angeles. Kurek received a Doctor of Musical Arts degree in composition University of Michigan. He has taught at the university level in New York and Chicago, and is currently a professor at the Blair School of Music of Vanderbilt University. Jeremy Allen Fisher — The Resident Lighting Designer of Theatre Memphis, Fisher is a graduate of Oklahoma CIty University with a BFA in lighting design. He has previously worked with Santa Fe Opera, Ballet Memphis, Busch Gardens, Tennessee Shakespeare Company, Oklahoma Shakespeare in the Park and Northern Oklahoma College. He sees light as a powerful tool, and approaches lighting design with an emphasis on color, texture and shadows. The combination of these are used to convey emotion, time, location, depth, interest, drama and more. Travis Graves — Artist Travis Graves has shown in numerous solo in group exhibitions in East TN and across the U.S. He earned his Master of Fine Arts is sculpture from the University of Wisconsin-Madison and is now an Associate Professor of Art at East Tennessee State University. Through his art Graves explores the relationship between nature, culture, and society’s dependence on nature. His work is rooted in addressing expectations and cultural attitudes as they define humanity’s relationship to the natural world.